We are very excited to have found another office space in Chatswood (a short walk from our current office) which will be a much better space for us. We are very pleased that there will be onsite car parking available for our clients. There are additional meeting rooms and also a large open area which will be perfect for client seminars and events. We have been in our current premises for almost 3 years and whilst we had an option to renew our lease we were unable to agree terms with our landlord. Our relocation will occur on Friday 18 May 2018 and we will be closed for business on this day. 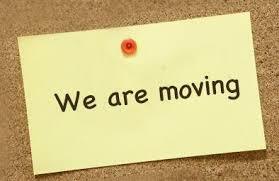 Our phone number (02 9884 7100) will be disconnected during the move so if you have any urgent matters on the day please call 0404 089 559. Please see the map here for our new office location. Can you please assist by using our P O Box address for any posted items. It will be business as usual and we expect there to be minimal disruption. We will be dealing with any required registration changes. We look forward to welcoming you to our new premises. If you have any questions, please do not hesitate to contact us.